Love the last shot! the combination of colors is so beautiful and that necklace is definitely a statement piece! in love with your necklace! looks amazing with the skirt! I love that bangle. And of course the stunning skirt. I just realized that until yesterday I had been on a shopping ban without planning it for almost 5 weeks, haha. The only thing I bought was a pair of pants for work because one was just not enough. Anyway, loving that green color! LOVE this look! The skirt and necklace are amazing! You have great style!! Very pretty outfit! Love the necklace! Totally amazing! Thanks for the endless inspiration, I love your blog SOOOO MUCH! That necklace is absolutely beautiful! 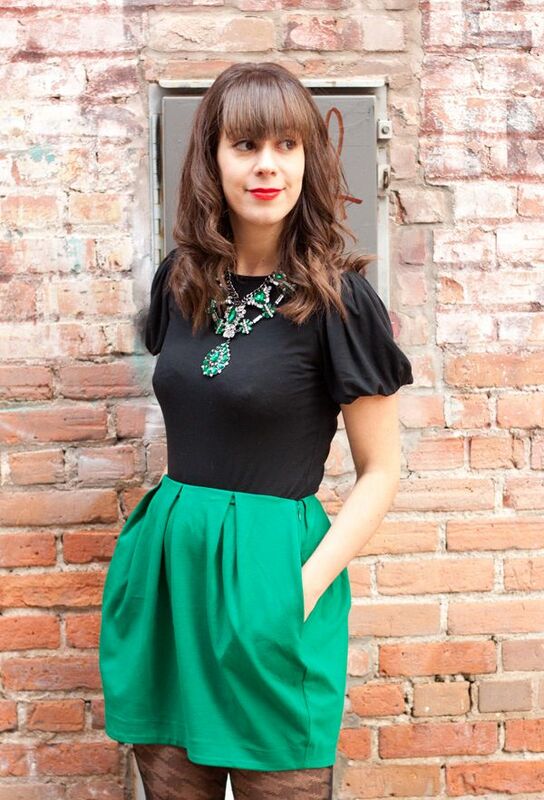 I love everything about this look - the kelly green bubble skirt, cute black top with statement jewel - absolutely fantastic! Every piece is perfect!!! Wonderful!!! those tights are to die for! I need some! I love this. Good for you with the shopping ban, I've put myself on a spending freeze as well! 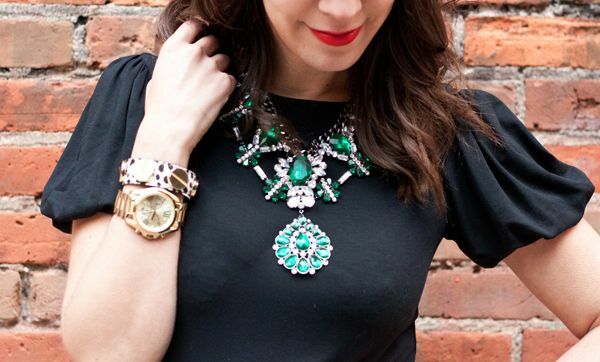 Love the statement necklace, green looks great on you! Oh my dying to borrow that pretty bauble! And that green is killer on you!